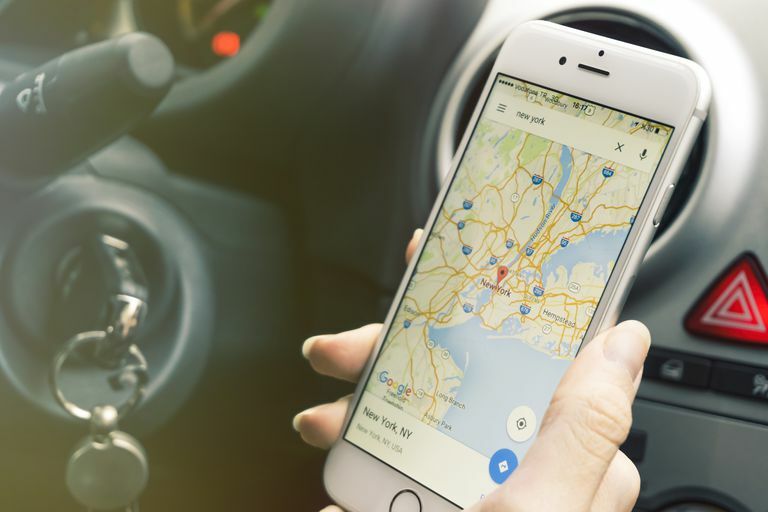 When Apple fell short with its original release of Maps and GPS navigation app for the iPhone, Google could have left Apple users with their existing dim options. But instead of building buzz against Apple, it stepped up with an all-new, well-done, stand-alone iPhone version of their product. Google offered it free of charge to help regain their maps dominance in the Apple iOS6 environment. Search: Google Maps' feature list includes an address and business/points-of-interest search using Google's powerful Local Search utility, ratings, and reviews. It syncs searches and favorites when you log in with Google. Directions: The app provides voice-guided, turn-by-turn directions, including travel by train, bus, subway or on foot. It also offers traffic detection and avoidance. Street view and imagery: The Maps app offers street-level imagery and touch-controlled panoramas of places around the globe. See inside 100,000 businesses worldwide. It has high-resolution global satellite imagery, as well as close connectivity with Google's earth-spanning imaging and mapping app, Google Earth. Last but not least, you get Google's years of hard-won experience and all the research and fine-tuning it's done on a global basis to present the most accurate map and points-of-interest data possible. Google has always placed a premium on fast performance, and the Maps app reflects that obsession. The app uses vector-based graphics to help maps render and scale more quickly than bitmapped graphics. Google manages some of the most powerful and fastest data centers in the world, and this shows up in the Maps app with super-fast data retrieval. The app is also fast at calculating and re-calculating directions. Google Maps for iPhone is simple, and we mean that in a mostly positive way. The opening interface is a familiar map rendering with a few icons that control the app's significant feature set, including search, turn-by-turn directions, and quick access to traffic data, public transit directions, satellite imagery, and Google Earth. There are quite a few navigation apps out there with cluttered interfaces, so this is no small accomplishment. Spoken-street-name, turn-by-turn directions are at the heart of any iPhone GPS navigation app, and Google Maps does not disappoint. The app calculates directions quickly, providing optimal routes and street names in a clear, pleasant and very human-sounding female voice. You can view directions in the traditional map view with a blue arrow and route line, or by a text list of directions enhanced by arrows. The Google Maps app for iPhone was upgraded in 2013 to include integration with Apple's Contacts app. You can activate Siri and the voice search feature by pressing the microphone icon in the search box. Google Maps plays well with other apps, fading into the background when appropriate, and continuing to provide spoken turn-by-turn directions. If you're not familiar with Google Earth, this is an app that lets you explore detailed satellite imagery of the globe and 3D perspectives with the swipe of a finger. A menu option lets you select Google Earth, which is also a free app, to get different perspectives on your destinations. Overall, the Google Maps app for iPhone is fast, lean and accurate. Heavy navigation users will appreciate its speed and accuracy.